If you’re looking to really understand how the body utilizes nutrients to optimize fat burning, muscle building and hormonal balance, then this certification is for you! We designed this certification for anyone, from an eager health enthusiast to a super busy health professional. The art of this certification is how it takes the complexity of the body and delivers the information in an extremely simple and tangible way. Your knowledge will exponentially grow, but your education will be only one piece of this certification. You will also learn the exact process of taking your newfound knowledge and applying it to creating, promoting, launching and leading 8-Week Experiences throughout your business and community. This is your step by step guide of the content you will be sharing and delivering as you lead an 8-Week experience. This is the content that ensures your clients will win. It’s also your study manual for the Health Coach exam. Click here to see the Table of Contents and the strength of the content. 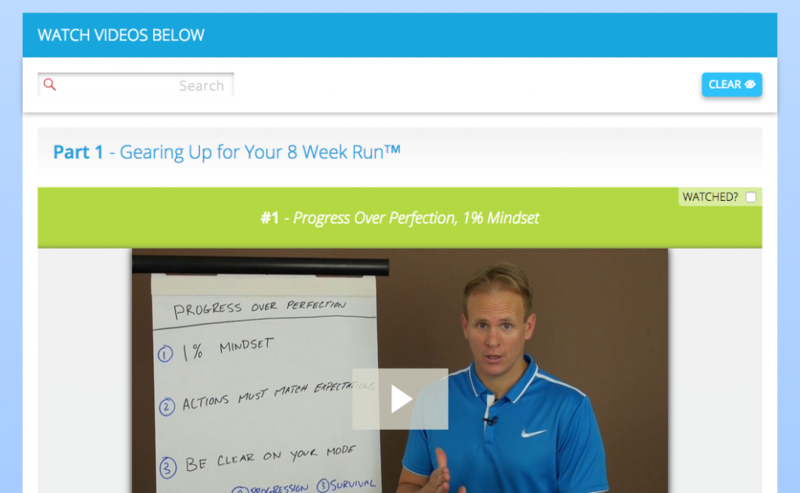 This is a full digital coaching series with coaching videos, interactive phase guides and recipes. Another amazing tool to showcase how to best lead an 8-Week Experience and also provide support for your clients. The manual and the digital coaching series will provide you the knowledge on the information you need to know to best support your clients to win as they make their 8-Week Run. These additional coaching videos will lead you through the process of Creating, Marketing, Promoting, Launching. Leading and Duplicating every 8-Week Experience you launch in your business. The Coaches Network is a global support system. It is there 24 hours a day to support you in expanding your knowledge of nutrition as well as to enable all Venice Nutrition coaches to share ideas on how to best grow their business. 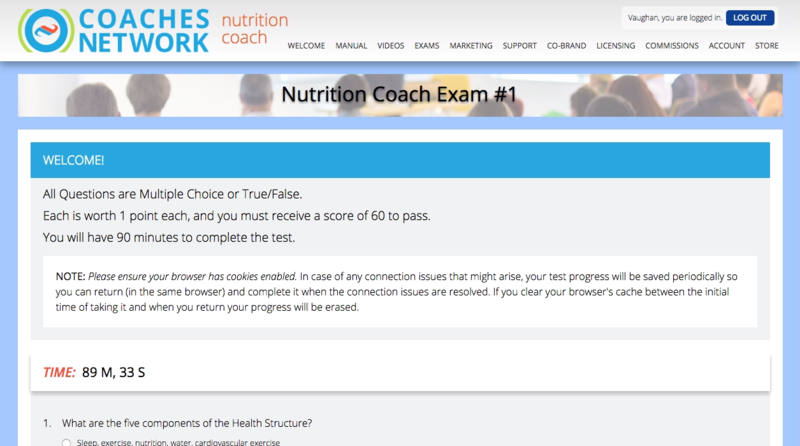 The Health Coach exam is a 75-question multiple choice, true/false exam and will be automatically graded. You have 90 minutes to complete the exam and you need to receive at least an 80% (60 out of 75) to pass. The Health Coach course takes the complexity of the body and delivers the information in an extremely simple and tangible way. If you’re a seasoned Health Professional the course will take approximately 10-30 days to complete, approximately 30-40 hours of studying time. If you’re a new health professional or health enthusiast and your knowledge of the body is still expanding, the course may take you 20-45 days to complete, approximately 30-60 hours of studying time and comprehension. Your exam is based on the Health Coach Manual. The additional tools and videos will educate you on the exact process of taking your newfound knowledge and applying it to creating, promoting, launching and leading 8-Week Experiences throughout your business and community. 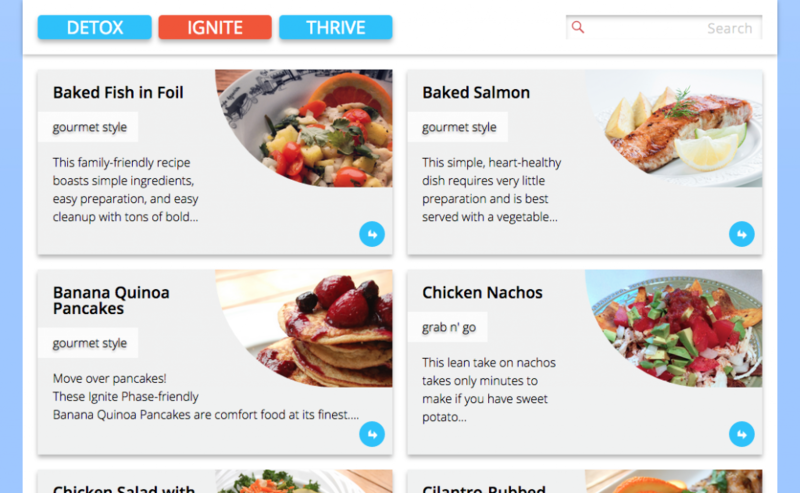 We have many tools that can be customized to your business or remain Venice Nutrition branded. Whether you co-brand or not truly depends on the size of your business and the goals you have with your business. We created our 8-Week Co-Brand package to immediately provide fellow health pros with a complete turn-key nutrition system after they become certified. 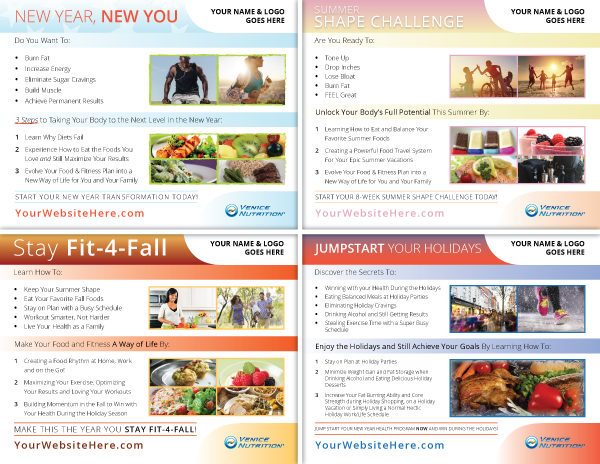 The Co-Brand package goes hand-in-hand with the Health Coach certification. Watch this video to learn more about how our co-branding package works. Co-Branding is available for Nutrition and Health Coaches. There are many benefits to licensing with Venice Nutrition and licensing typically applies to Nutrition Coaches, but some Health Coaches choose to license as well. 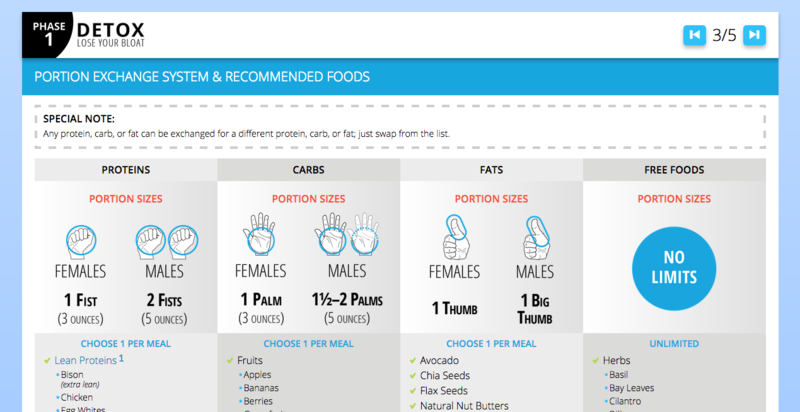 Licensing and gaining access to our Client Management tool, called VN Client Management, really depends on if you want to create customized nutrition programs for your clients, that is what our Nutrition Coach Certification focuses on and teaches. 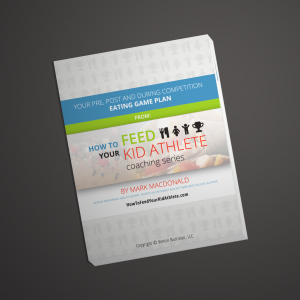 As a Health Coach, the clearer you become on how you want to deliver nutrition programs to your clients, will then help you decide the best platform to use. Watch this video and check out your options here and see if it makes sense for you. Our mission is to change how the world forever looks at food and partner with as many health minded leaders as we can. 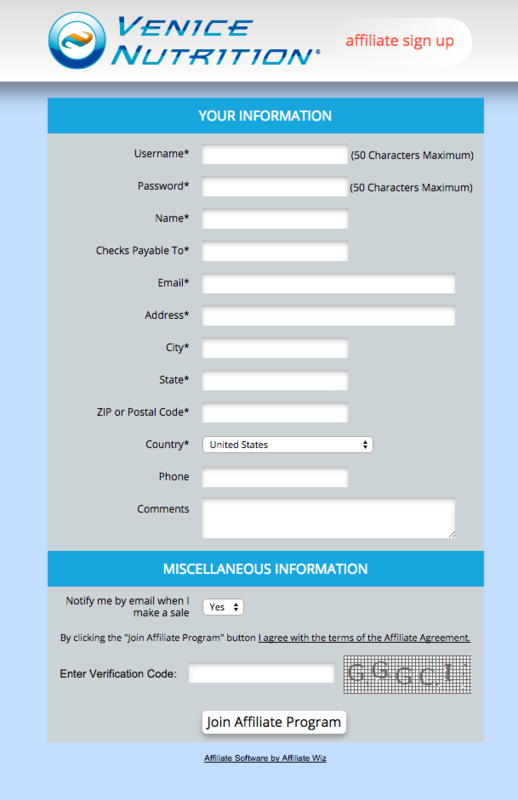 Our affiliate program is fantastic for all Health and Nutrition Coaches, as well as marketing partners of Venice Nutrition.